I may have a Thing - Let's keep that in the sanctity of your brain, shall we? 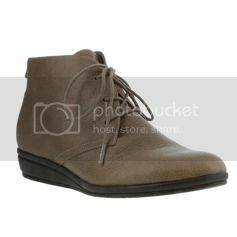 There's this pair of boots I've been eyeing off for a while now, and I found them on sale today $60 off their regular price. Was really tempted. I think I need a Boot Intervention. Heeee! I love how you got them out and arranged them for us - or were you just taking inventory...? Or is that just where they live? *g* But maybe the new ones are a shade of blue, or perhaps green...? It started off with me being curious about my boot ownership, then feeling slightly embarrassed, then deciding to take a picture for my sister - we trade ridiculous photos - and I thought, why not share? That's more boots than I ever saw outside of a store! It's a bit embarrassing really, I had some I'd completely forgotten about! Summer is for bare feet, as often as possible! And sandals, yes. I hate it when the change of seasons forces me into sensible shoes. Ye gods and little fishes, woman! 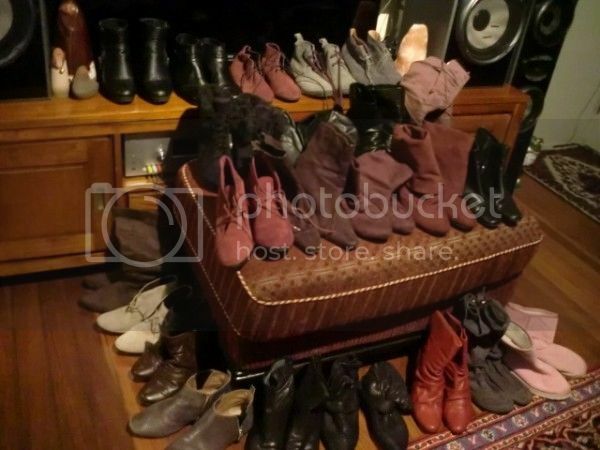 You definitely have enough boots and need no more. It's kind of a bit much, isn't it? I seriously didn't realise just how MANY pairs I have. You definitely have a thing! A number of pairs of thing in fact! It's a hard truth to face. *G* Seriously I fel a bit ashamed when I realised exactly what I had already.